It's time, you guys: my favorite way to bulk up any meal with some crispy, savory, oh-so-tasty carbs. These are great for the husbands, wives, or kiddos in your Whole30 clan that are calling out for "more food" and just can't get full. Maybe they're athletes, active people who just need more calories, or simply fans of potatoes who can't get enough! Either way- this'll fit the bill. These potatoes are our favorite for breakfast. Plate 'em up with some quick sautéed veggies and a fried egg or two, top with hot sauce, and you'll be licking the plate! When it comes to dinnertime though, these are also a great way to bulk up a meal. 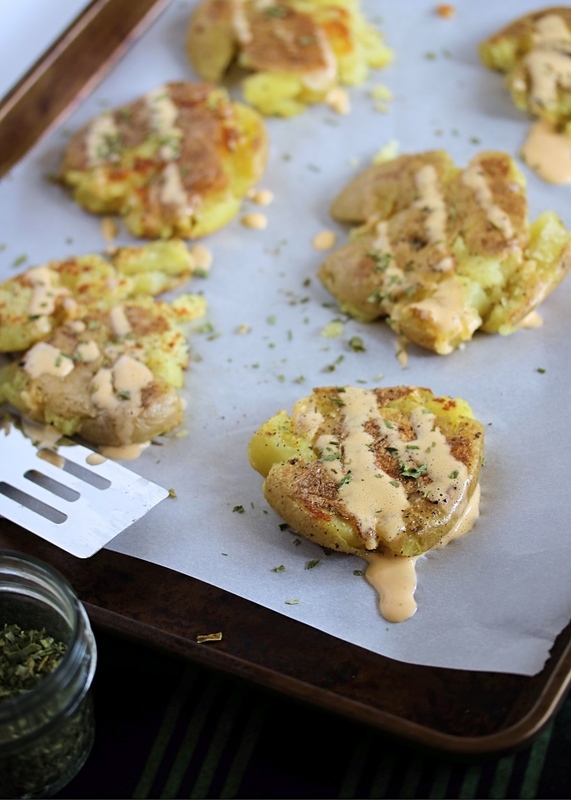 Take a savory protein with a sauce, like my Skillet Chicken with Sun Dried Tomato Cream Sauce, and serve it over top of some of these crispy potatoes, and no one will be leaving the table with an empty space in their tummy- I can promise you that! Speaking of delicious sauces- my favorite one to drizzle over top of these is my Spicy Cream Sauce from this Breakfast Bowl recipe. 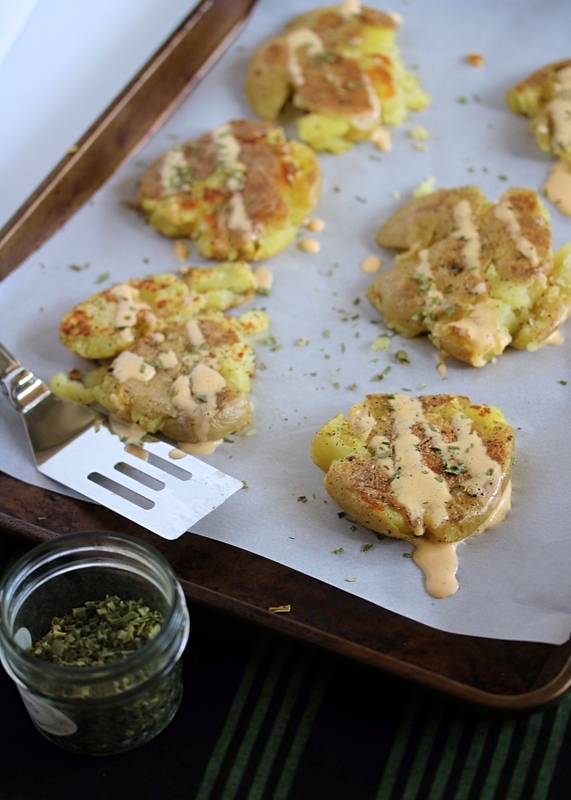 It's quick & easy- done in the blender, and adds so much delicious flavor to these potatoes! I hope you love these as much as we do! Don't forget to come show me your creations on Instagram! @justJessieB ... See ya there. Cook the potatoes until soft (see below for two different method options). Use the back of a chef's knife or large spatula to smash down on the potatoes, until they are about 3/4" thick. In a skillet, melt the ghee over medium high heat. Add the potatoes to the skillet, and season with salt & pepper. Cook until crispy, about 3 minutes. Flip the potatoes and repeat, seasoning & cooking the other side until crispy. 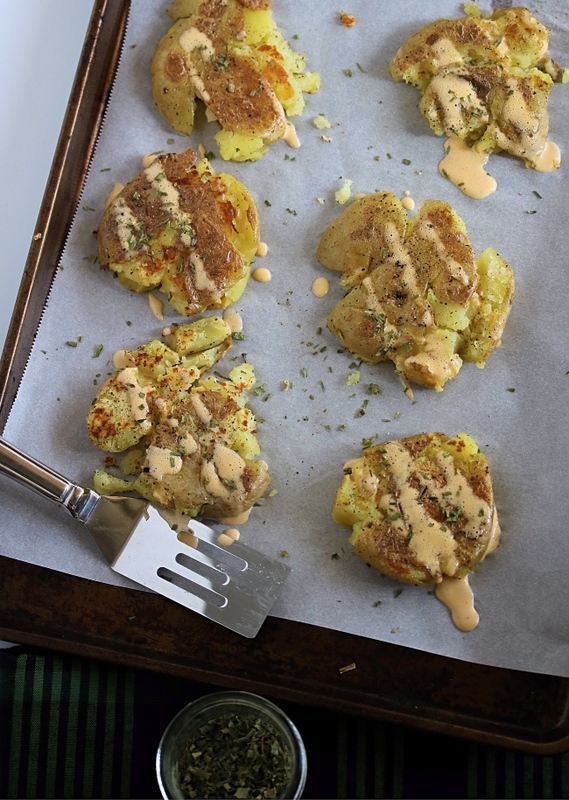 Pictured in this post are medium sized gold potatoes, which sometimes break apart a bit as they're smashed and then cooked. 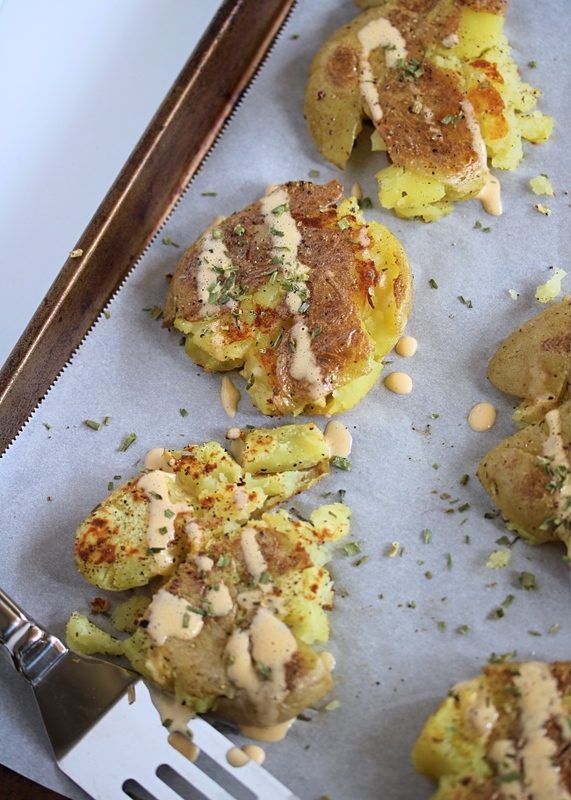 Substitute small fingerling potatoes if you want them to stay together better! Red potatoes would also be delicious. 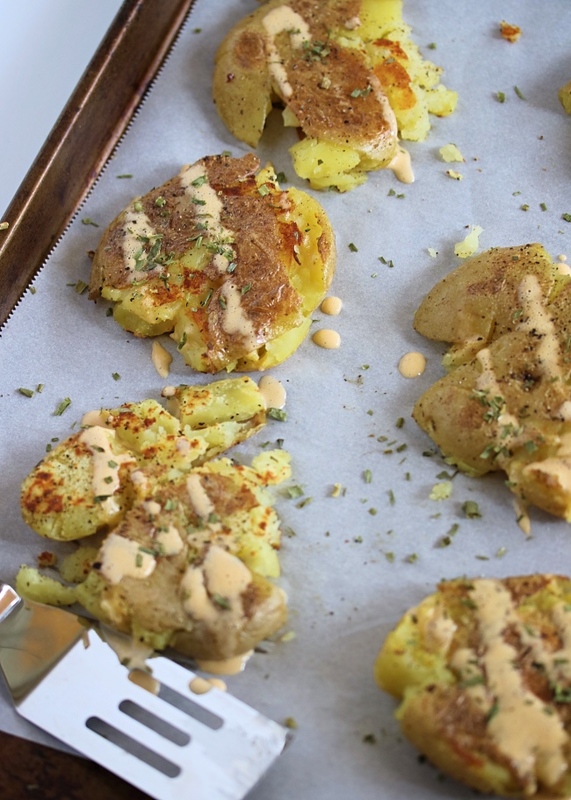 I can't wait to make these potatoes! I've been drooling over them on Instagram! This will help with my January Whole 30 for sure. What is the sauce? And did you use paprika in the photo? Thanks much! I love potatoes.